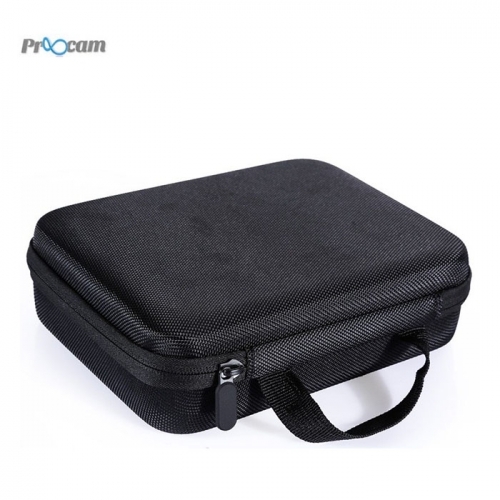 The Case hence not only allows you quick and easy access to all your equipment but also keeps it safe and sound from any potential outside dangers. Camera & accessories not included. Compatible with all Gopro HD camera. Unique design,can store most of accessory. Handle design,easy to carry with. Keeps your camera safe and sound from any potential outside dangers . Made of high quality material, durable..
4. Main material is hard EVA, which can effectively protect your Gopro Hero HD 2/3/3+ and its accessories from scratching, dust, etc. 5. Greatly help you store Gopro Hero and its small accessories such as battery, transmission cable, dobber etc.